THQ's newly revealed plans to extend its brands to the digital realm will include social networking sites such as Facebook. In more recent THQ news, CEO Brian Farrell has detailed the company's digital gaming strategy. Multiple existing THQ franchises will receive games released on digital platforms, including Facebook. THQ is not necessarily developing these experiences as a form of profit, but as brand extensions to keep gamers interested and thinking about its titles. The platforms THQ is aiming at are social networking sites, the PlayStation Network, Xbox Live Arcade, iPhone, and iPad. According to Farrell: "It's a great way to keep consumer engagement with our core properties in between these launches every two or three years. So we look at those markets as both revenue and profit drivers, but more importantly, they are great brand extensions for our key brands." Facebook games are definitely in the pipeline, as Farrell reveals: "We plan to launch our first digital core games this fiscal year including Facebook games based on three of our major brands and four games in development at our THQ Digital Studios." As covered yesterday, THQ's current key franchises include Red Faction, Saint's Row, Darksiders, UFC, WWE, de Blob, Drawn to Life, and MX vs ATV. A few of the names are this list are more likely candidates in my mind, with the wider appeal of Drawn to Life or de Blob, but it also could lead to some interesting surprises. Saint's Row could easily be turned into a Mafia Wars-style game (theorizes fellow Escapist writer Logan Westbrook), while Darksiders and Red Faction would be interesting properties to see turned into simpler forms of play. Extending videogame franchises into the digital realm, and especially the social networking realm, could either lead to a piece of garbage app that nobody cares about, or a creative extension to a brand that could raise its status in the eyes of the public. 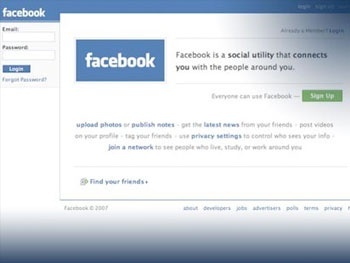 Facebook is also visited by millions upon millions of people, so it could be a good advertising opportunity too. If THQ is successful, who knows, maybe Super Mario Bros. or Grand Theft Auto could make Facebook appearances as well.